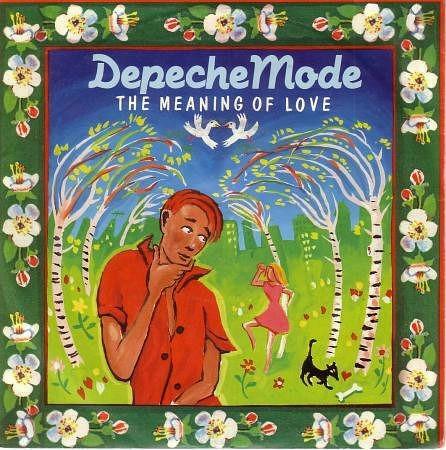 DEPECHE MODE "THE MEANING OF LOVE"
This was the second single to be released from the second Depeche Mode album A Broken Frame, and the follow-up to See You. Released on April 26th 1982, the song peaked at #12 in the UK singles chart. It faired slightly better in Ireland peaking at #13, but was never released in the U.S. The b-side features an instrumental created by Martin Gore entitled Oberkorn (it's a small town). One more single was released from the A Broken Frame album, which was entitled Leave In Silence, and reached #18 in the UK.